The decision to homeschool should be based on valid homeschooling information. Here's where you'll find honest answers to your questions about home education. The first question people typically ask me about homeschooling is, “Why would you want to do that?” After taking a look at the following homeschool information, you'll want to ask yourself, "How could I not home school?" Homeschooling Benefits - Home education provides a healthy learning environment, superior academic results, and increased opportunity for family bonding. This article contains details about the main benefits of homeschooling. Famous Homeschoolers - Many of our nation's leaders, scientists, artists and entertainers were homeschooled. Here's a list of famous individuals who were educated at home. Homeschool Schedules - Home education provides the freedom and flexibility many families desire. This article contains homeschooling information about schedules, and shares tips for creating a schedule that's right for you. How does Homeschooling Compare to Public School? Homeschooling vs Public Schools, Part 1 - Homeschoolers learn in a safe, secure environment that is free from bullying, excessive competition and negative peer pressure. This article examines the differences between the learning environments of home and public schools. Homeschooling vs Public Education, Part 2 - Home schools provide one-on-one, parent-directed academic instruction that is tailored to children's learning styles. This article compares the effectiveness of home education to that of traditional classrooms. Homeschooling vs Public Schooling - The homeschooling information in this article consists of charts that summarize the academic differences, environmental differences, and the differences in the values taught in home schools and public schools. 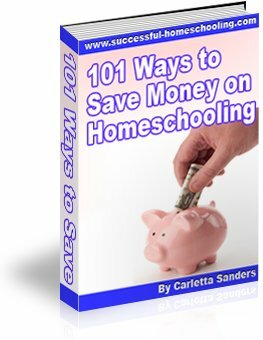 Where Can I Find Homeschool Statistics? Although the studies have been limited, research shows that homeschoolers outperform public school students, regardless of differences in race, gender, level of parent education or socioeconomic background. Here are some reliable homeschooling statistics. Questions about socialization are so popular that experienced homeschoolers refer to socialization as “the dreaded ‘S’ word.” Homeschoolers receive socialization in a real world environment that is superior to that of public schools. Here is some homeschool information about homeschooling and socialization, the social advantage of homeschooling, and the social disadvantages of homeschooling. What if I Ruin my Children? Some parents have practical homeschooling concerns, such as, "What if I ruin my children?" Although there are many popular myths about negative aspects of homeschooling, the truth is - home schools provide an environment where children will not only survive, but thrive! Follow this link to find homeschooling facts to counteract myths about home education. Here are some additional facts about homeschooling. If you're still concerned, check out my article, Replacing Fear with Facts - Homeschooling. You don't have to be a wealthy, conservative, certified teacher to prepare your child for the real world! As with anything in life, there are pros and cons to homeschooling. Before you decide to educate your children at home, take an honest look at some of the negative effects of homeschooling.